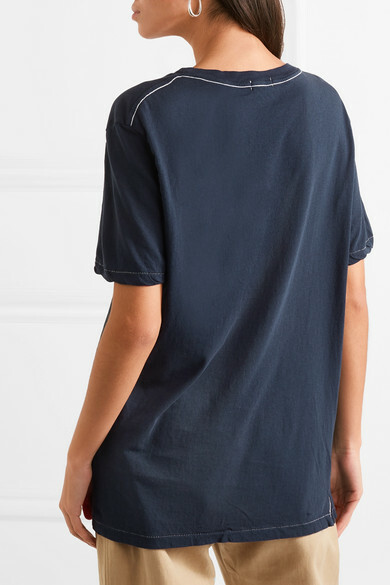 Bassike's navy T-shirt is cut for a relaxed fit from superfine organic cotton-jersey that has a slightly slubbed feel. 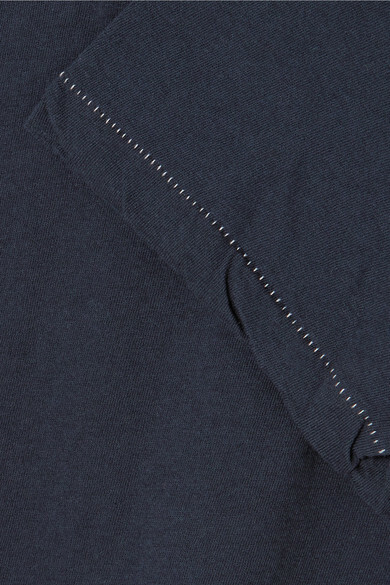 It's minimally detailed with contrast stitching at the hem, sleeves and back of the neck. 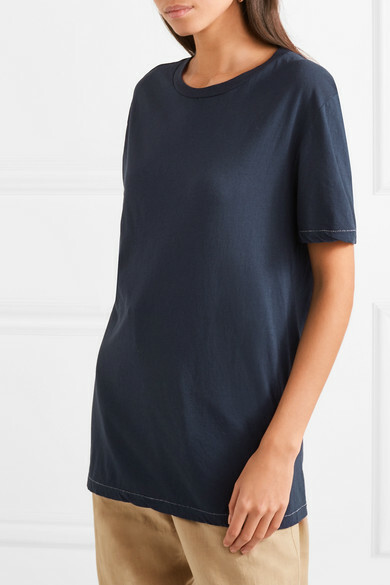 Throw it on with slouchy pants and slides - a no-brainer combination on lazy days. 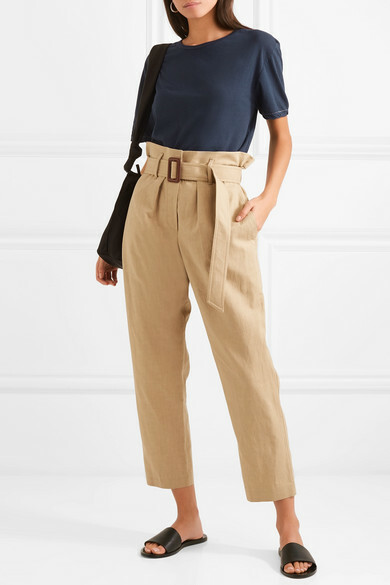 Shown here with: Brunello Cucinelli Pants, The Row Shoulder bag, Common Projects Slides, Sophie Buhai Earrings.